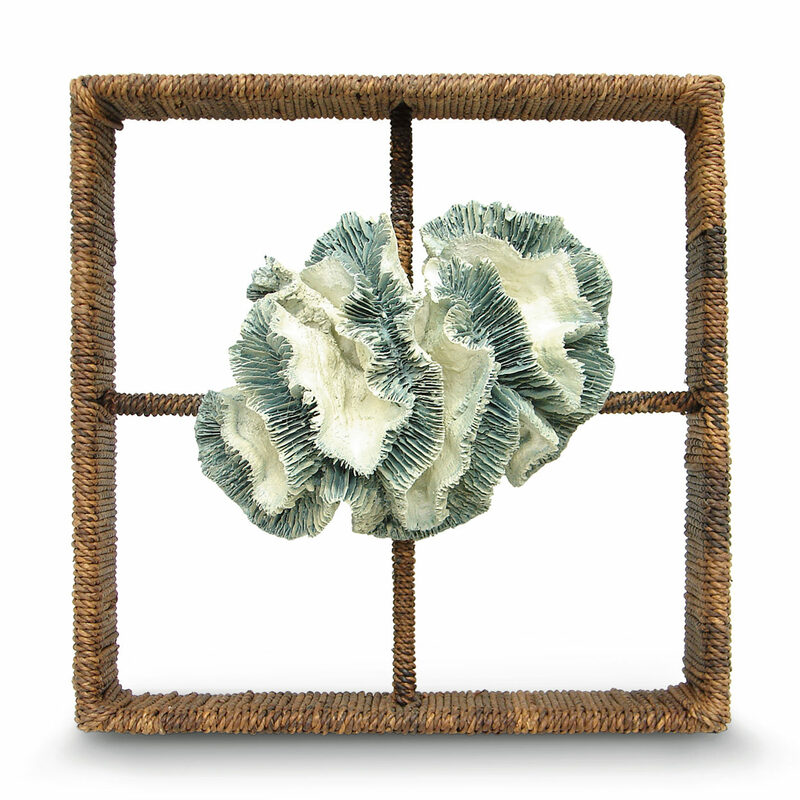 Stonecast broach coral fixed in hand-woven abaca wrapped frame. Use on the wall or as a table top decor. No hanging hardware; use nails or screws for mounting. Can be shipped Federal Express Ground.